→Top 3: Whats The Best Table Saw Under 500 ? Top 3: Whats The Best Table Saw Under 500 ? 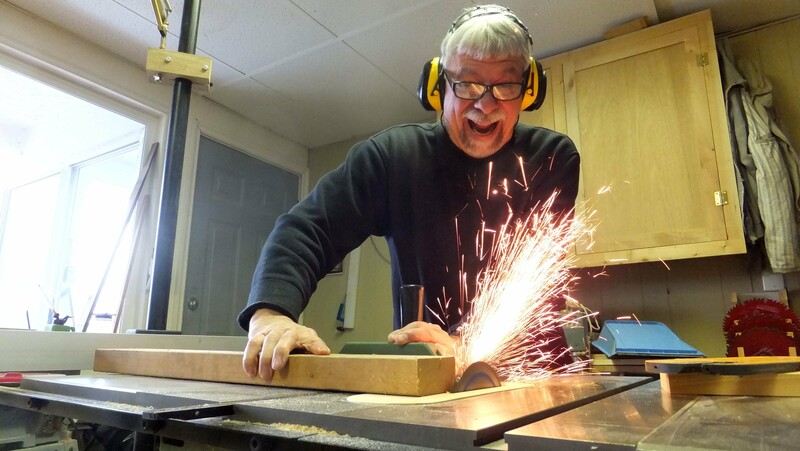 In this article we review the best table saws under 500 bucks. 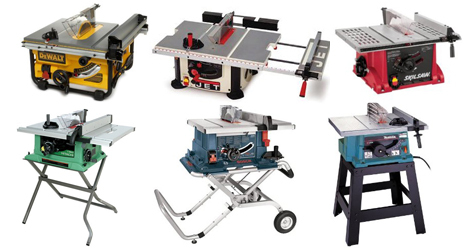 Most tables saws on this list are portable and can be used in the home for DIY projects and out on the field for contractors who travel from site to often. Wood working is an expensive sideline to get into and many new carpenters and homeowners are on a limited budget. When trying to determine a good understanding of features, it can get confusing as to what is most important. To save you some frustration and time, the best table saw under 500 bucks is listed below. Three table saws are listed because of the different functionalities table saws can be feature. A carpenter on a job site would have different needs and preferences than a woodworker in a shop. The features and quality of a saw are so similar to another one that you can’t really say one is superior to another. A consistently winning brand for the best table saw under 500 bucks is DeWalt. Dewalt says it aims to deliver high quality tools at an affordable price to its customers and they do a good job of it. 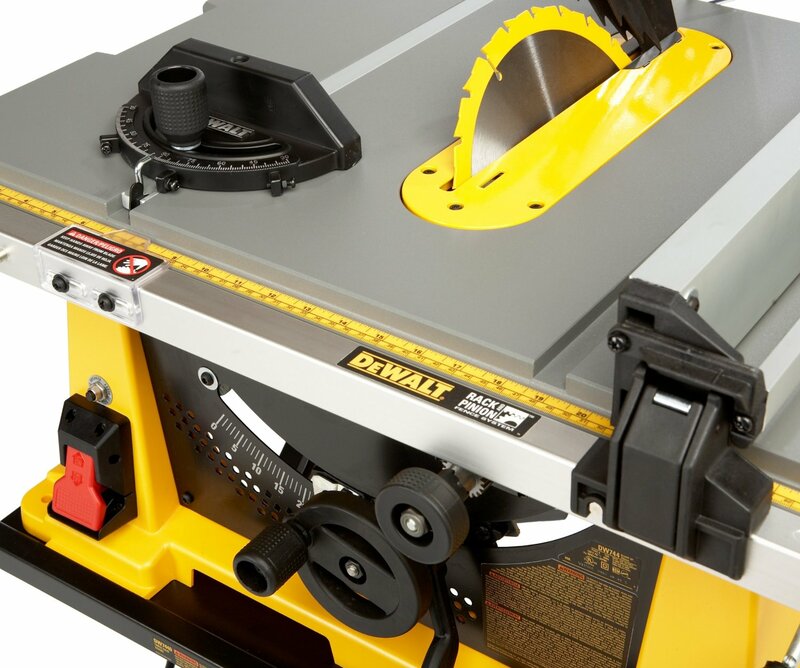 The DeWalt DW745 10 Inch Compact Job-Site Table Saw is the current champion. This saw is a great choice for a traveling companion, weighing in at only 45 pounds. The Dw745 10 Inch Table Saw comes with a push stick, miter gauge, blade guard and one 10 inch, 24 tooth carbide blade. The saw features a powerful 15 amp, high torque motor that always gives clean cuts, even on tough jobs. The table saw makes cuts up to a maximum of 3-1/8 inches at 90 degrees and 2-1/4 inches at 45 degrees on a reduced friction coated surface. The Site-Pro Modular Guarding System allows for tool free adjusting of guarding components. A rack and pinion fence system allows cuts up to 20 inches for full sheets. The cuts are always fast and accurate. The DW745 is a durable worksite tool that is easy to transport and has its own protecting roll cage. DeWalt seems to have made this table saw to give quick and clean wood cuts no matter where the worksite is located. Next up is The Bosch GTS1031 10-inch portable jobsite table saw. This saw is designed for the workplace and can be carried with only one hand. The versatility of this saw made choosing the DeWalt over it a hard decision. A big plus for job sites is the highly durable, lightweight and all steel base with stability providing rubber feet. Like other Bosch table saws it features the Squarelock Rip Fence. The fence is made to glide easily and be truly accurate for real and professional, precision cuts. The 4 HP motor generates clean cuts and runs at 5000 RPM. It has a 5/8 inch arbor and makes bevel cuts from -2 to 47 degrees. It can handle an 8 inch diameter ½ inch dado stack. Many new Bosch saws are featuring the innovative Smart Guard System. 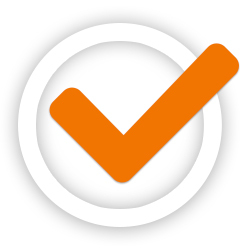 The Smart Guard gives high personal protection and safety while maintaining user visibility. This is a modular three piece system that includes a riving knife, blade guard and anti-kickback pawls and requires no tools to assemble. The Bosch GTS1031 measures 22.5″ x 22.5″ x 13 with table top dimensions of 22.5″ W x 20″ D and weighs 52 pounds. More video instruction here. Third place goes to DeWalt again with the 7480, 10 Inch Worksite, Table Saw. Many reviews list this saw higher than the other DeWalt because it is usually cheaper in price. This saw has the same kind of rack and pinion fence system as the DW745, so you can be sure that you’re getting accurate cuts. This table saw has 24 inches of rip space, so larger piece work is OK. The work surface is coated to stop friction so your cuts should be easy to perform one-handed. The 15 amp motor has been redesigned to deliver real power when cutting through hardwoods and will insure a fast, clean cut for a professional appearance. It offers a max rip to the right of the blade of 24 inches and the max rip to the left is 12 inches. The arbor size is the same as the DW745 at 5/8 inch and so are the cut depths at 90 and 45 degrees being 3 1/8 inch and 2 ¼ inc respectively. The saws rear legs are adjustable so that an uneven workplace won’t stop you from making the cuts. A 2 inch dust port for a vacuum hook-up can make clean-up a breeze. Last but not least, the DWE7480 has easy access compartments built into the saw for storing accessories such as the push stick and it’s easy to carry at only 45 pounds. Features such as Bosch’s Smart Guard System on the 4100-09 are a real positive thing to have. Safety can never be stressed enough when using table saws because all it takes is one little movement and there goes your finger or hand. Remember, when shopping around for your next saw, to make sure you get one that has reliable safety features. Like the expanding rear legs of the DWE7480, you want a table saw that can readily be used at the types of locations you plan to be working at. This is not only for work purposes but for safety as well because an unsteady work surface is a dangerous one. Before buying a saw check to make sure it can do what you need it to. Details such as miter angles (How to make a miter angle article + video and another miter angle instructional video ) and depth of cut can make a big difference in how much it can actually do for you. A large working surface on the saw is important in many tasks and at the very least will make life easier and safer. Insure that the motor is strong enough to cut through the types of materials you will be working with. The last thing you need is for the saw blade to get bogged down and stuck inside a thick piece of green wood. This is not only inconvenient, it is unsafe and eventually an accident is sure to happen. The table saw you buy will probably be the one you use for years to come, so you have to do a detailed search before you buy one.